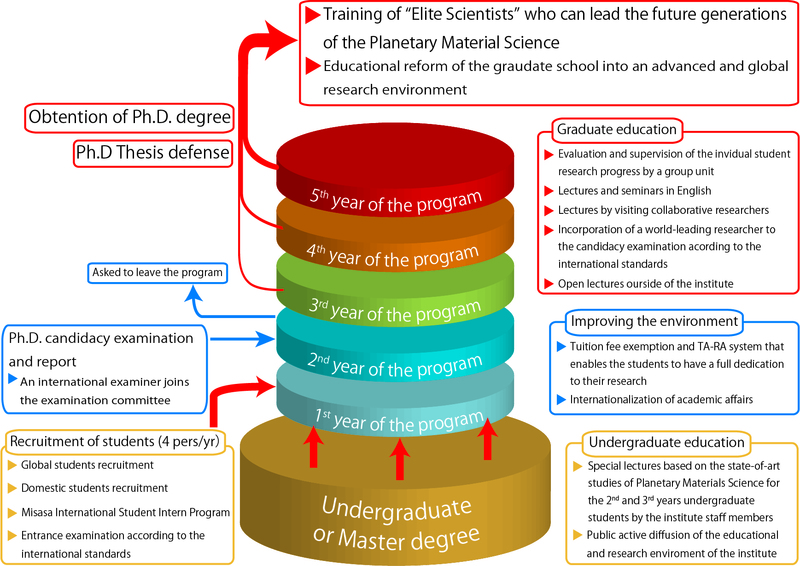 The 5 year Ph.D. program also is unique because the great benefits that the students receive, such as: Economical support, fully English academic affairs assistance, complete freedom and fully covered research, special lectures from top world international researchers, all them during the whole duration of the program. In terms of guidance and supervision, the student will continuosly interact with the faculty and staff members of the group in order to receive critical advices to improve his scientific thinking together with a guidance in all the tecniches necessary in order to adquire a fully comprehensive geochemical dataset that derives in an unique result and discussion for the proposed research. Finally, the students has to accomplish two evaluation requirments. The first requirment is to pass the Ph.D candidacy examination where the student has to defend the reserach conducted during the first two years of the program. The evaluation will be conducted by a committee formed by faculty members from the institute together with an international examiner. If the students is able to pass this evalution will continue it own research for the remaining three years until the Ph.D defense, where again an international examiner will be invited. However, if the student is not able to pass the candidacy evaluation will be asked to leave the program. In this particular case, a committee could grant the student with a Master degree if the student's perfomance during the first two years accomplish the requirments of the the possible awarded degree.